Shaikh Ahmad Kutty will lead an umrah group inshallah, leaving on March 12 and returning on March 19. This trip is presented by Saba Travel and Tours Ltd. - please review their flyer for more information on the trip, and contact them for any further details: 416-926-8250 (or 1-800-387-1995) surprisefares@rogers.com. Presented by Saba Travel and Tours Ltd. 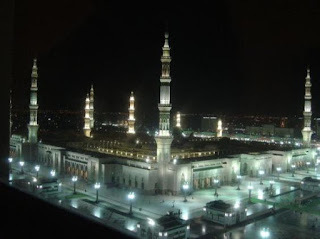 When ever you plan to perform umrah with group i suggest you to book cheap umrah packages which increase saving during travel and you can visit maximum holy places. Put your name down for Umrah Packages and experience the distinctive “Middle east for Beginners” nation which is prosperous with the awe-inspiring and assorted backdrop and scenery. The famous Lake Malawi is making it the lake of stars country and attracting millions of tourists annually to reserve umrah packages and amuse themselves with the true beauty and splendor of this country. As Malawi is getting fame day by day among the tourists so huge bulk of flights are operating to this nation on the daily basis. you might be sitting anywhere in the world, you can easily catch cheap flights and can reach to any of its four major gateways of Saudi which are King Abdul-Aziz International Airport which is in Jeddah. King Khalid International Airport in Riyadh. King Fahd International Airport in Dammam and Prince Mohammad Bin Abdul-Aziz International Airport in Madinah. All these airports are operating direct and indirect international and domestic flights, but flights to umrah can only operate from Madinah and Jeddah. Besides these, there are also many other airports which are serving local flights.